We’ve all experienced this design dilemma at some point: you’re in your first apartment or house and you have to buy nearly everything. Where do you start? 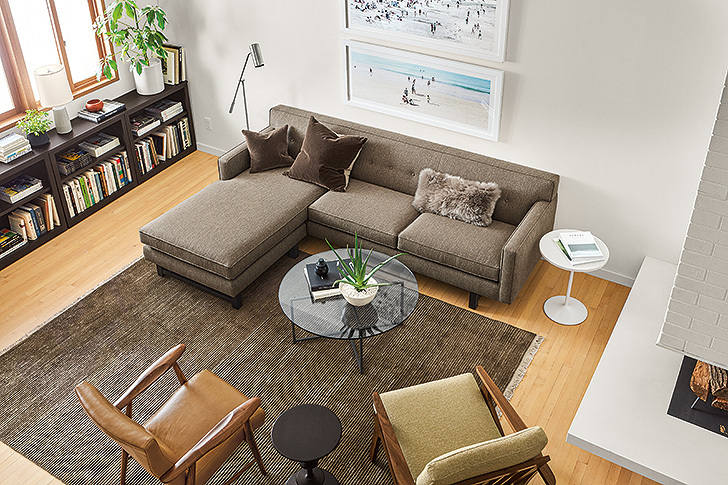 What furniture is most likely to work in your next home? 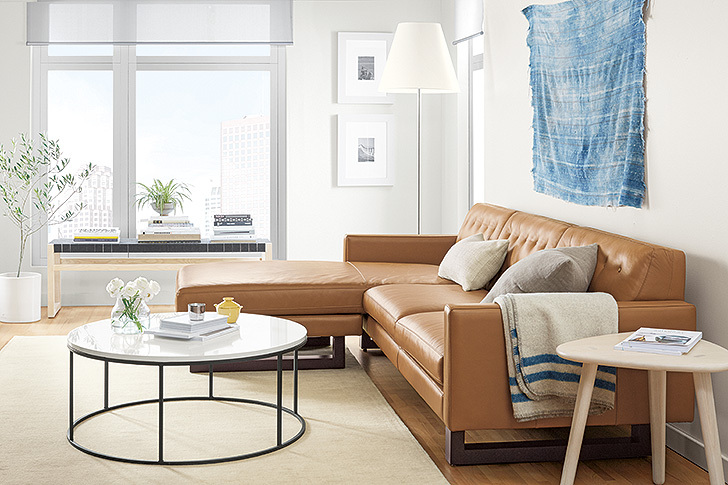 Whether you’re just starting out or simply love the thrill of moving to new places, here are our tips for choosing furniture that works in your first home and moves easily to the next. 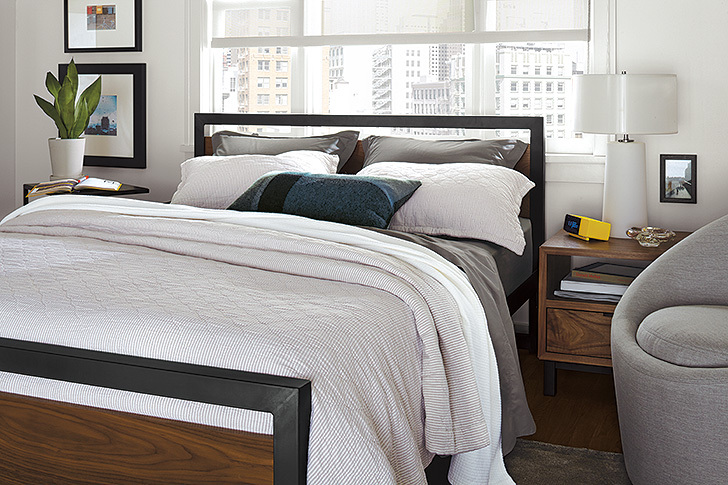 It’s easy to skimp on a mattress, but you’re likely to spend more time in your bed than anywhere else in your home. It’s worth getting a good quality mattress that helps you sleep your soundest. Our team’s favorite is the R&B Encased Coil Serene Foam mattress. We’d also recommend springing (ha! mattress joke) for a queen size. It’s tempting to go with a full size to save money, but you’re likely to want a bigger mattress in the future. Save money over time by buying the queen size now. 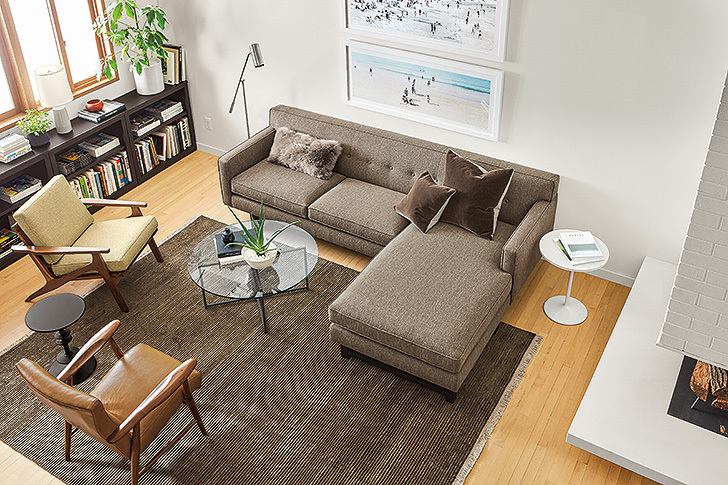 As the biggest and most-used piece of furniture in a living room, the sofa is essential. A sofa in the 70-80 inch range is great for smaller apartments; 90 inches or less works in many homes. 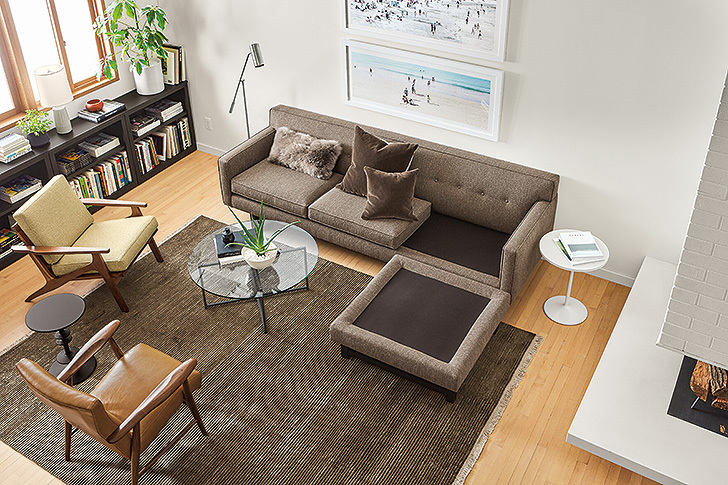 For a smart sectional, find one with a reversible chaise, which allows you to place the chaise on the left or right side depending on the room and configuration you need. Another future-minded tip: stick with a neutral color, which you’re less likely to grow tired of. Round things out with a coffee table. A round coffee table is a wise furniture pick if you’re aiming for flexible pieces that will work now and later. 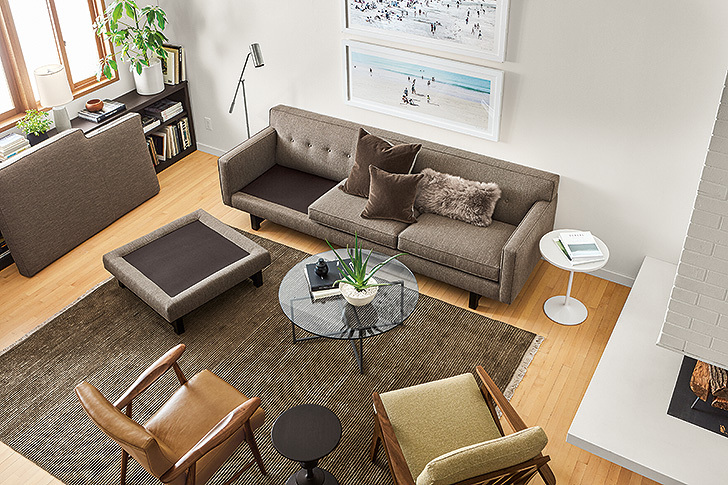 A roundtable helps a room feel more open and looks great with a sofa or a sectional. Plus, the circular shape means no bumped shins on the corners. Table for two (to eight). An extension table is the ultimate in design flexibility. Your apartment now may only have space for a table for two or four, but your next home may have room for eight. 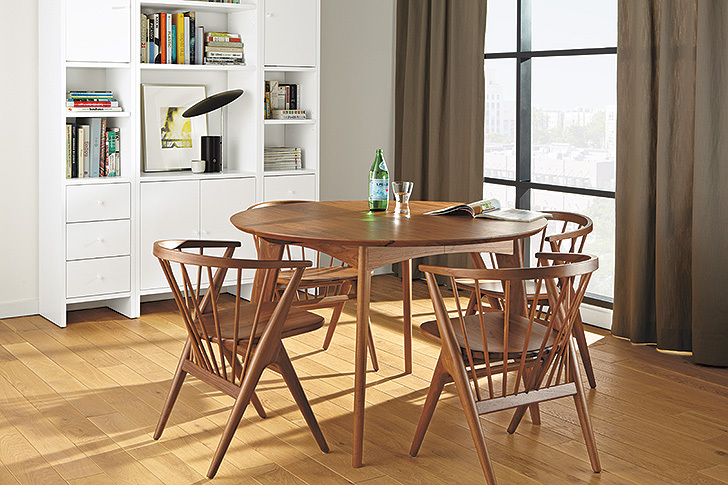 An extension table helps you get the most from any dining space. Choosing a design with two leaves gives you even more options for customizing the size. Ventura 48″ round extension table with Soren chairs. The humble bench can be put to work in nearly any room of the home. 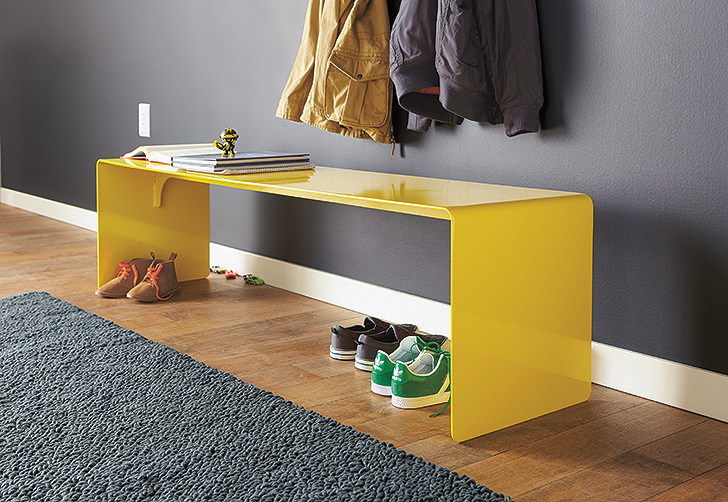 Use it as an entryway drop zone, extra seating at the dining table or at the foot of the bed. A bench is a practical piece of furniture you’ll always find a home for. The ambiance looks so cool. Great ideas. I love it!